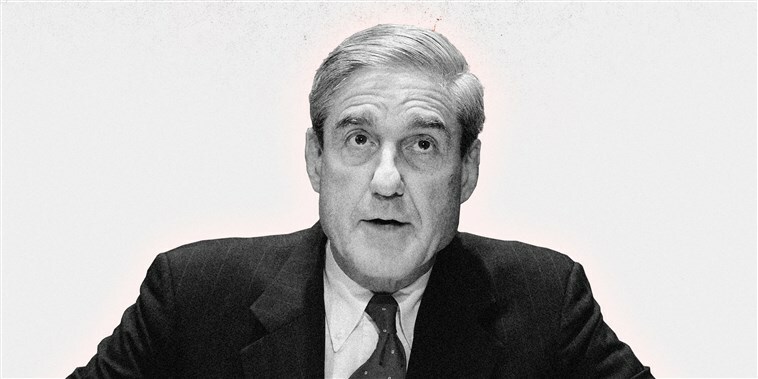 NBC – Special counsel Robert Mueller on Friday wrapped up his nearly two-year investigation into Donald Trump and Russia and sent his report to Attorney General Barr. Trump refused to sit for an interview with Mueller — his lawyers said they were concerned about a “perjury trap” — but he did submit written responses to Mueller’s questions in November. Mueller was appointed special counsel on May 17, 2017 — eight days after Trump fired James Comey as FBI director. Comey had been leading the investigation into Russian meddling and any possible Trump campaign involvement. The president initially said he’d canned Comey at the urging of Rosenstein and then-Attorney General Jeff Sessions, but later told NBC “Nightly News” anchor Lester Holt it was his decision, and cited his frustration with the Russia probe. “And in fact when I decided to just do it, I said to myself, I said, you know, this Russia thing with Trump and Russia is a made-up story. It’s an excuse by the Democrats for having lost an election that they should have won,” Trump told Holt. The FBI probe into the campaign’s alleged Russia ties started in July 2016 after a little-known Trump campaign foreign policy adviser, George Papadopoulos, told an Australian diplomat that the Russians had obtained thousands of emails that would embarrass Democratic nominee Hillary Clinton. The Australian government passed that information on to the FBI after hacked Democratic National Committee emails were posted online. That wouldn’t be the only hack. Russian cybercriminals targeted Clinton campaign chairman John Podesta’s emails, U.S. intelligence officials found. They were released online just hours after the “Access Hollywood” scandal threatened to sink Trump’s campaign. Flynn had sat with Putin at a dinner in Moscow in 2015, and would be fired from his job as national security adviser for misleading Vice President Mike Pence about the content of his conversations with a Russian diplomat. Cohen and Trump associate Felix Sater were in talks during the campaign to develop a Trump Tower in Moscow, which would reportedly come complete with a multimillion-dollar apartment for Putin. The president’s son Donald Trump Jr. set up a meeting at Trump Tower with a Russian entourage after they offered unspecified “dirt” on Clinton’s campaign courtesy of the Kremlin. “If it’s what you say I love it,” Trump Jr. said in accepting the meeting, which would include Manafort and Trump’s son-in-law and adviser, Jared Kushner.